So my blog got a new look! I've known for a while that the old site was hard to navigate, made it difficult to find things and it seemed like there was a lot of content that wasn't easily accessible. For months I've been considering a "makeover" for the blog and on the weekend I bit the bullet and made it happen. I was super nervous at first but am absolutely in LOVE with how functional everything is. I'm still working backward (which is a task because I've been blogging for over nine years) to categorize and label posts so that previous content will be easy to find and look through and am hoping that over the next few months everything will be organized and make so much more sense! I am SO EXCITED to finally have a subscribe by email option (shout out to all of you who have been emailing and asking for one!) 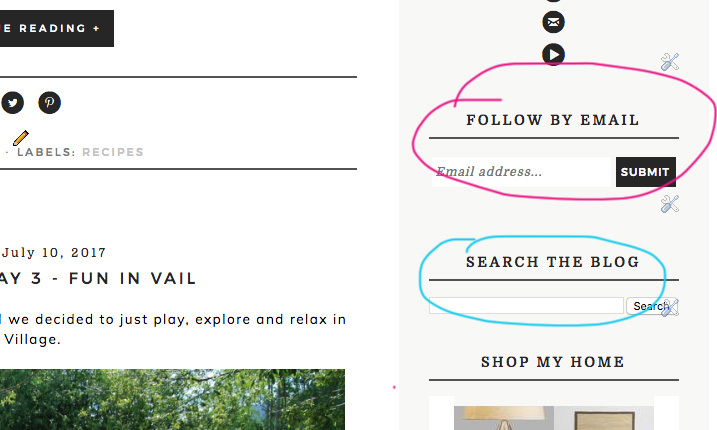 and a "search the blog" feature which I think will be so helpful! ... and the tabs at the top of the page. My social media icons actually work now (#allthepraisehands) and you can see more than a single post when you come to my site. I hope that y'all love it and find it easier to use! And while we're talking blog stuff, I'd love to know what content you'd like to see more of as well as other suggestions for making the blog more functional and convenient - please leave me a comment and let me know what you'd like to see. I appreciate y'all so very much! The fact that you take time out of your day to read, comment and engage kind of blows my mind a bit and I want to make sure you know how thankful I am for you! Thanks in advance for the feedback and thanks again for reading and following along! Love the new look Andrea! New look is fantastic Did you do it yourself or pay for a new layout? I've been shopping Etsy and looking for a new layout...but haven't found one that calls to me yet. I always love to see your seasonal/ holiday posts. The décor as traditions are my faves!! I love the new look! I love all your recipes! and all your decor! So glad you enjoy those days and are getting to use them!!! And YES for having summers with our kids! Thanks so much, Jamie! Thank you so much for reading and following along, April! I love that idea.... kind of like a "topical forum" for parenting tips and tricks. I'm going to think about that! THANK YOU! 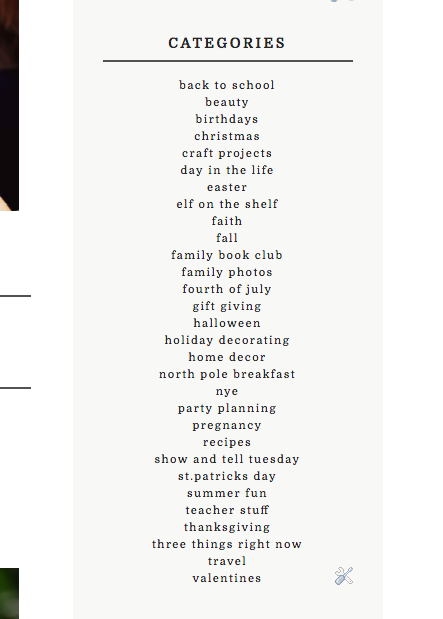 I love the new blog format!! Great job!! I love all your topics. I would love to see more style posts. I love your personal style, clothes, shoes, jewelery, etc. Have a great day!!! This is super random but I love your recipes especially the easy ones! Also your Trader Joe's posts! Can you tell I'm not a cook? Thanks, Genny!!! Trader Joe's is a LIFESAVER! I always had to be careful when clicking on a link that you posted....the link didn't open in a new page and I would have to go back into your blog. Clear as mud?? I would click the product link...read about the product.....get carried away with a few other items, then I would have to reopen your blog. (STMT has what I'm talking about...click on the item and a new window pops up). But love you and your blog! Been a faithful reader for 3 years! I totally get what you're saying!!! And I just figured out that I can fix it going forward. WOO HOO! Thanks so much for the suggestion! I love your new blog layout! I also love when you post your recipes...I've made your monster cookies many times, and your creamy chicken and noodles are a huge hit around here! Your recipes are definitely my favorite! Looking great!!! Add your Teacher Corner button!!! Love your ideas!!! Love your blog and all the variety. My suggestion would be the ability to Pin your recipes! Love the detailed descriptions and pictures but an actual recipe to Pin at the bottom would be helpful. The new layout looks fantastic! I would love more posts about what your kiddos wear and your recipes are always family friendly and easy. Keep up the great work and thanks for letting us all into your life! Thanks so much for reading and following along, Megan! More teacher posts! I love how relate-able you are because you have a full time job and many more responsibilities yet find time to blog! Time management, meal planning and any teacher posts would be great! Love the new design...so clean and modern! I love all your posts, especially home decorating and recipes. Boy style... I like that idea!!! and I'm so jealous that you're from Hot Springs!!! It's GORGEOUS! Love the look and functionality! Can't wait to keep coming back for more great posts! Love the new look and functional layout! I saw it go up last night and I had to do a double-take. All the background stuff that happens with blogging is pretty hard work. :-) Anyway, I also love your family book club and teacher posts, even though I'm not a teacher. Love all the weekend recaps and just seeing your precious family. Thanks, Laura! It's encouraging to know that even though you're not a teacher you still enjoy those posts - I always wonder if people who aren't in education skip over them or read anyway. No, I read them so I can have good ideas for my kids someday! Blog looks beautiful, congrats! I love day in the life posts! Its nice to read about real life from a working mom! They're my favorite to read as well! Thanks, Nikkih! Love it too! Agree, more teacher info. Surviving the school year as a mom and teacher.....etc. The new layout is great and I love your blog! As a working mom, I find your content so refreshing. I'd be interested to hear more about how you meal plan during the school year. I don't have a Trader Joe's near me but I loved your "what I bought" posts that helped spur some easy dinners. I'm also excited to see your new classroom! Does scrounging through my freezer at 6:00 pm count as planning?!?! :) hahaha I do plan a little bit and can definitely share about that. Thanks for the idea, Katie! Love the new look! I enjoy your posts about decorating, organization and recipes. Also always love your weekend re-caps. You have such a sweet family! Thanks for reading and for the suggestions, Michelle! I love the new look! I will definitely use the categories links because sometimes I would think "oh Andrea did this or that" and I would just search it out on Google. It worked every time to find what I was looking for but I would rather just be at your site and giving it more hits or whatever. LOL I love all your posts and I keep up with you on IG. I feel like I've really got to know you more by watching your stories. I would love more posts about just how you do Mom stuff. How you handle whining, fussing, fighting, tantrums, chores, discipline, boundaries with your kids. Your kids are pretty much my kids age so it's nice to see how other Christian Mom's handle those issues. I would like to see how you handle the good stuff too. I know Luke is super smart. How do you handle rewarding your kids, reinforcing good behavior, etc. Such great ideas, April! THANK YOU!!! I'll go ahead and tell you that I probably yell too much... hahaha Maybe we can all share our suggestions on those topics as well. Thanks again! AAAAH! #goals ;) Thank you so much, Alex! Time management is a tough one and I can definitely write my thoughts about that... thanks again! I hope so!!! Thanks for reading, LAuren! Love it all! Your example and posts are an encouragement to all of us working moms!! Thanks, Erica! So glad you find them encouraging! First time commenting but I read all the time! I'm not a teacher but a also enjoy your teaching posts. And planning/organizing posts. My favorite is probably your decorating and holiday posts. I also have referred to your posts about kids toys/gifts. My son is only one so when I need to buy a gift for a 6 y. old boy, I'm stumped! I referred to one of your Christmas gifts posts when buying my last bday gift! So glad you enjoy the gift posts! Maybe I'll make a tab for gift guides so they're easy to find... thank you!!! It looks great!! Simple and functional! The blog looks great! I love all your posts (seriously) and your recipe posts are some of my favorites. Love how you post so many great pictures of the process involved with each recipe. Thanks for organizing the recipe tab by category as well. Will make it super easy to find things. Thank you so much!!! I'm a visual learner and recipes with pics are my favorite to follow. Thanks for reading and following along, Tracy! Love it! Looks great! And I love what you've been doing. It's especially fun when you have a printable - you're so crafty! Oh, and I loved your it's my party series so much! I don't think you've done that in awhile though. And thanks for linking to things you love. I haven't done a printable in FOREVER!!! I just jotted "more printables" down :) hahaha Thank you so much for the suggestions and for reading! Girl! Look on Etsy! I purchased the template and then tweaked and installed it myself! I can do basic coding and such but there are some great (and really affordable!) options available on there and if you don't feel comfortable installing them yourself you can have them installed for you. And you don't have to be on WP to get those features... I'm on blogger! Oh man, favorite posts? Your day in the life posts, book club days, decor, kid gift ideas, weekend recaps...ALL of it really! I love how genuine and real you are but also so positive. You are SO encouraging to all but I especially love seeing another working Mama do/juggle so much and with so much grace! So uplifted every time I read. Thank you for sharing and for encouraging and being so real! P.S. One "logistical" item is what another commenter mentions above- your links open in the same tab as your blog. Would be convenient if they opened in a new tab so I could continue reading your post. Very minor but thought it was worth mentioning! I'm so glad you enjoy reading! I appreciate your kind words more than you know. I googled it and figured out how to fix the link issue going forward so thanks you for bringing that to my attention! I enjoy the day in the life posts, home decor, and favorites post - like Trader's Joe. I would like if you have a clickable link that it open up a new tab instead of it taking you away from your blog. I will sometimes follow a link then get busy and never get back to your blog. Got it! I'll make sure the link/tab thing is fixed going forward! I appreciate you reading and the feedback so much, Yolanda! It definitely looks great!! My favorite posts are always the day to day life posts. There's something about seeing the daily activities of others that just fascinates me! Just call me a creeper! Haha. LOVE a day in the life post!!! Thanks so much for reading and taking the time to comment, Lindsay! Love the updated look! I really enjoy the posts on what toys and games you've discovered for your kids. I use blogger and there's a button when you're composing that looks like a paper ripped in half... it's the "break" button and will insert a break into your blog post. And I have NO CLUE who it's through! I added it as a widget through blogger. SORRY! I thought of another topic I've wanted you to do for awhile! Photography. What cameras do you use, do you do any editing, any basic tips? I use a mix of a Canon, iPhone and waterproof Fuji depending on the situation. I'm desperate for an easy editing software (for beginners!) because my pictures don't ever feel crisp but every time I look into the various options I get overwhelmed and quit. Maybe I'm not using the right camera settings, who knows! Your Christmas photos always show the sparkle in the lights- what settings do you use on the camera? 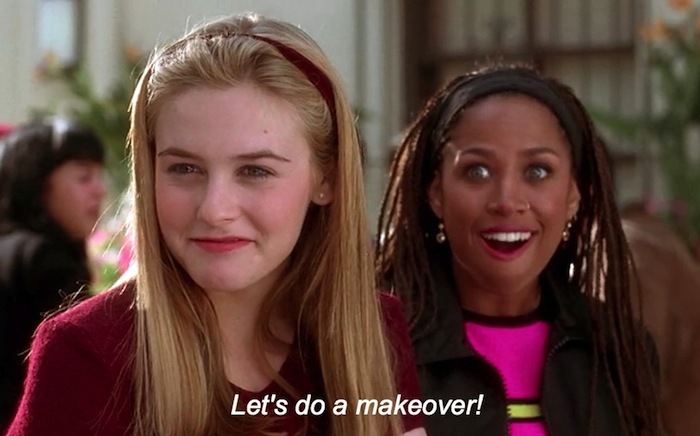 Oh, girl! I am SUCH a novice!! I always shoot on auto.... which is embarrassing :) hahaha I do have a couple of tricks that I could share - so I'll try to get that post together this Fall. Thanks for the great idea, Katie! I love everything you do, you're so real, down to earth and an inspiration! I would love to know some budgeting tips!! Your new layout looks fantastic! So clean and bright, I love it! My favorite words to read are "if you're local". I live in Dallas but I enjoy reading about anything in the metroplex and I add it to my running list of places to take my kids to. Restaurants, play places, etc. I'm so excited to take my daughter up to play street once my son starts preschool in the fall, his school is 20 minutes north of my house so we will already be part way and I think she will love it! Love the new look! I so enjoy reading your blog, thanks for always creating great content!